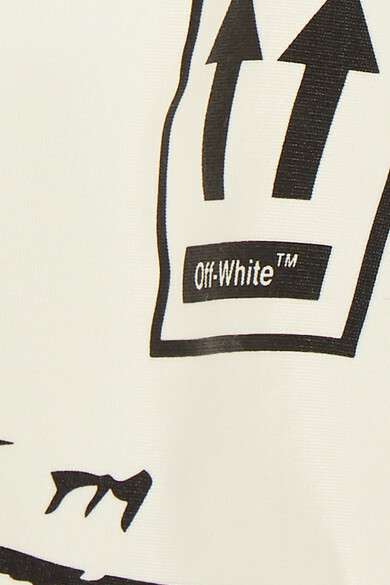 Off-White's Virgil Abloh collaborated with Nike and Serena Williams on a collection last year, and we think the designer still had sport on his mind when he designed this cropped top. Cut from sculpting stretch-jersey, it's printed with the label's industrial signage and even features a running stick figure at the back. Wear yours under a blazer. Shown here with: Off-White Pants, Acne Studios Blazer, Off-White Belt bag, Alexander Wang Pumps.